Why Are My Teeth Sore After Getting Braces Tightened? We know that the monthly appointments are no orthodontic patient’s favorite part of braces. Experiencing soreness all over again can make you feel frustrated – but understanding why you’re a bit uncomfortable after getting new wires will help you appreciate the process. The thing is, soreness after routine appointments is actually a sign that your braces are working. The new wires guide your teeth into their planned positions, gradually working toward a straight smile. Each patient experiences the post-tightening soreness a little differently – and some don’t even notice discomfort. No matter which camp you fall into, we’re here to help. Read on to learn more about why your teeth might feel painful, and how to relieve any discomfort at home. Why Does Braces Tightening Hurt? During orthodontic treatment, your teeth are actively being moved to new positions. Changing the locations of the teeth can affect blood flow. This may trigger an inflammatory response, leading to the release of substances that trigger your pain response. So your teeth feel sore when they’re on the move. At each of your appointments, your orthodontist adjusts the archwire. This is the metal wire that stretches across your smile and connects your brackets. Depending on your case, Dr. Thomas might bend, tighten or replace the wire. The wire then strains to return to its original position, placing gentle pressure on the teeth along the way. This is the force that causes your smile to straighten. Some patients don’t feel pain after their regular appointments – but others experience discomfort for anywhere from 1-3 days. If you’re a new patient, there is some good news ahead – after the first six months, soreness tends to lessen with each appointment. If you’re in pain after an appointment, you’re desperate to get comfortable and get through the day. Following these tips will help you feel better quickly and cope with the period after each appointment. Look for a topical oral anesthetic that you can apply to your teeth and gums. Ask Dr. Thomas for a product recommendation if you’re not sure what to use – some common brands are Orajel and Anbesol. You can apply these to areas that are especially sore using a Q-tip or the tip of your finger. Know that these gels don’t taste great – but their pain relieving effects make temporary bitterness worth it. If you want to do your best to avoid pain, it’s a good idea to take an over the counter pain medication 30 minutes to 1 hour before your appointment. This will be active by the time your braces are tightened and will help you stay comfortable. Always follow the directions on the packaging, and remember that it’s not typically recommended to take pain medication long-term. You shouldn’t be taking Advil every day that you’re in braces – save it for the day after your regular appointments. You can treat tender, swollen gums and teeth the way you do an injury. Icing your cheeks will help you reduce inflammation, which can heighten discomfort. Use an ice pack and apply it to the outside of your mouth. Don’t use an ice pack for longer than recommended as this can cause tissue damage. A good rule of thumb is to only ice an area for 10 minutes at a time, and allow the skin to warm back up in between icings. There’s nothing better than water! Not only will ice water make you feel more comfortable, it will hydrate and refresh you (and cleanse your teeth and braces). The cooling liquid helps numb sore areas of the mouth and also relieves inflammation. Although you’re drinking ice water, do not chew on the ice – this is dangerous for your braces and likely to cause broken brackets or wires. It’s actually not recommended to chew ice even without braces, so definitely leave the ice in your cup. It’s a great idea to hit up the grocery store before your appointment, so that you have plenty of braces-friendly foods available in your fridge and pantry once you’re feeling sore. You should always avoid particularly crunchy or hard foods while wearing braces, but you’ll probably want to be even more conservative after your appointments. Go for yogurt, blended soups, oatmeal, mashed potatoes, pudding, smoothies, and other liquid but filling meals. Anything that doesn’t require you to bite down and apply pressure to your teeth will be ideal. You’re going to go through some discomfort throughout your orthodontic treatment – that’s just natural. When you think about it, what happens during braces is pretty remarkable. Moving your teeth into new positions takes work, and some pain is likely to show up at one point or another. But in the end, the entire process will be more than worth the temporary sensitivity. 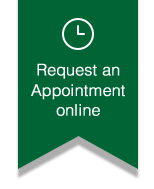 Looking for more post-appointment tips? Get in touch with our staff today.